Ardaman & Associates, Inc. was retained to review contamination assessment data, evaluate alternative methods of remediating the site, and participate in negotiating with regulatory authorities to agree on an acceptable remedy to remediate the site of an abandoned steel mill. 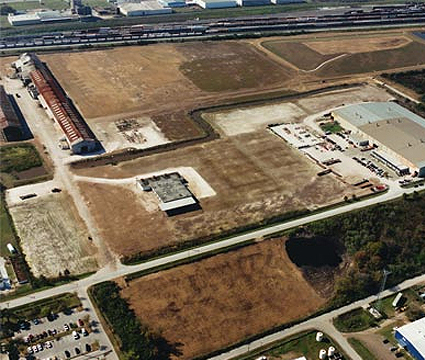 Ardaman prepared a remedial action plan, developed a remedial design and supervised implementation of the remedial action plan for the Tampa Mill site. 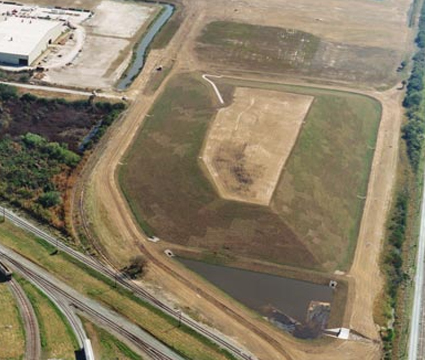 The project was the first of its kind in Florida to successfully restore a former contaminated industrial site for continued industrial use. The Tampa Mill restoration was also one of the first major cleanup projects in Florida in which the entire remediation operation, from excavation to treatment and disposal of materials, was confined to the owner's property. This environmental restoration embodied innovative, state-of-the-art engineering in that the joint efforts of the owner and Ardaman & Associates, Inc. resulted in a significant savings of time and money, greatly helping the project to be completed on time and within the budget. The cost of disposing the hazardous waste in the on-site vault was $7 million, or about $15 per ton of material. The conventional option of transporting the waste to an off-site landfill was estimated at about $200 per ton, or more than $90 million. The negotiations with the regulators and the innovative design of the project saved the owner, and ultimately the community, over $80 million. Furthermore, the Florida Institute of Consulting Engineers presented Ardaman with a Grand award, the highest-level award presented by the organization.